Travelers are crazy for new sensations at new destinations. And with MiniBarBox they’re being offered a memorable new experience! 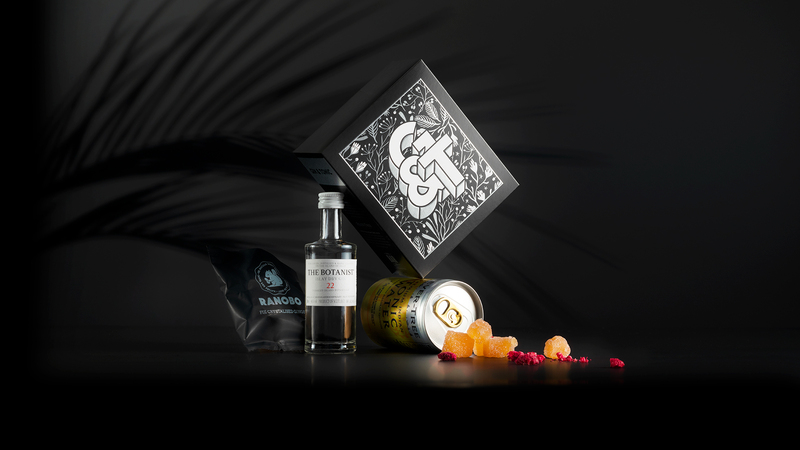 The luxurious MiniBarBox range enables travelers to mix their own premium cocktail. Finished off with special ingredients and a carefully paired, delicious snack. Mix the perfect Gin&Tonic, using the exceptional gin of The Botanist and premium Fever-Tree tonic water. Add hand-picked botanicals to flavour and colour the mixer to your personal liking. To enjoy the full sensational taste experience, let the sugar coated Fiji Crystal Ginger tickle your tongue while slowly sipping from your Gin&Tonic. When all flavours and textures harmonise perfectly, you experience a small piece of art… Take a moment to reconnect with yourself. For this truly artisanal gin from the Hebridean island of Islay (Scotland), 9 classical gin aromatics are being used, augmented with a heady harvest of 22 local botanicals. A uniquely fresh tasting tonic using the finest quinine sourced from the Congo. A gentle bitterness with subtle citrus notes, it’s designed to enhance the very best gins. Let these sugar coated Fiji Crystal Ginger sweets tickle your tongue whilst you slowly sip from your Gin&Tonic. Add Pipa Botanicals (raspberries and rose petals) to dress-up this Gin&Tonic to your personal liking!